Call us for preventative and corrective heating services for your Troutman home. Heating your Troutman, North Carolina home in the winter and heating water all year long are two things that absolutely must work properly. At Cool Comfort Heating & Air, we provide all the heating services you need to be sure your life is not unduly interrupted by chilly temperatures or cold water. We offer a variety of heating services, including heating repair, heating installation, furnace replacement, water heater replacement, and insulation (reflective barrier and blown attic insulation). Our heating services are two-fold: preventative and corrective. Preventative – We can set up a schedule to maintain your HVAC system and water heater, so there are fewer chances either will break down on you. Maintenance is also beneficial for keeping them running efficiently and for as long as possible. Checking to be sure your home has sufficient insulation is another way to make your HVAC system run longer and more efficiently. Corrective – Should you experience a problem, we’re here for you 24/7 to address immediate heating services you may need. We can also install a new system in new construction or replace an old furnace that is not worth repairing or is inefficient. We can also do an analysis to determine if a more efficient furnace would save you enough in heating costs to warrant an upgrade. If you have questions about any of our heating services or would like to schedule an appointment to have your systems inspected and maintenance performed, give us a call today. 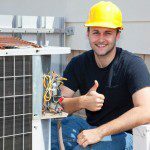 We are your cool choice for heating services! At Cool Comfort Heating & Air, we provide high-quality heating services in Troutman, Mooresville, Huntersville, Lake Norman, Cornelius, Denver, and Davidson, North Carolina.